I have cards full of old buttons....I can't bear to use them. They look so neat and I love the old prices. 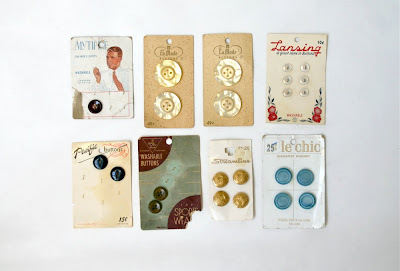 Rarely disappointed with unique vintage buttons! lovely! Huge fan of buttons especially on their original card!